Hi! It's FRIDAY!!! Are you glad? Well, this may be one of the few Fridays anyone dreads - Friday the 13th. Since Friday the 13th is usually associated with scary things I thought who better to bring a little fun to this day than an author who writes books with ghosts for characters. There's even a chance to win one of his books - Sebastian and the Afterlife (book 1) or Agents of the Reaper (book 2). Yes it’s that creepy, unlucky day again; a day when some people might take a little extra care, nervous that bad things have more chance to befall them. There are a number of theories about the origin of the superstition, but however it started, it’s surely ingrained in our culture now. By the way, the fear of Friday the 13th is called friggatriskaidekaphobia or paraskevidekatriaphobia (good luck fitting either of those names on a prescription bottle). Personally, I enjoy when the day rolls around; I think its stigma is amusing. It’s a day when I can pretend things are spooky for no reason. Of course as a child I grew up in a time that barely survived the majority of the ‘Friday the 13th’ slasher film franchise. I always thought the day was supposed to be about bad luck, not a psychotic killer; but then again, I guess all of the people Jason chased around were pretty unlucky. I thought some of those films were fun, and some of them were just terrible. Nowadays when Friday the 13th rolls around, on occasion I might sketch someone a simple cartoony Jason holding his machete. Sometimes it’s nice to be silly and have fun with something that could potentially be scary. I guess I have a habit of doing that. I write a middle-grades paranormal book series called ‘Sebastian and the Afterlife’. The books all deal with death and moving on, but in a way that removes a lot of the fear about the situation; the stories are more of an adventure. Sometimes I think it can be healthy to deal with things that scare us in that manner. Living every day in fear is not much of a life. Bad things may happen, but hopefully we can enjoy ourselves until then. So I say again – Happy Friday the 13th! Enjoy it; they only come around once in a while. 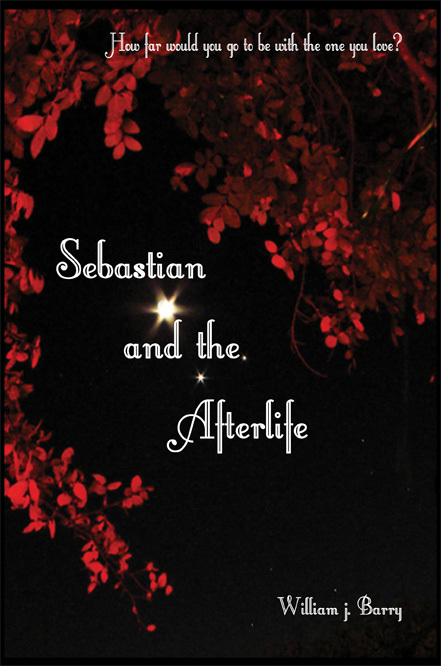 To celebrate the day I wanted to give away an e-book copy of my first novel, Sebastian and the Afterlife (if you already own it, you could get the sequel, Agents of the Reaper, instead). Hum… how should we decide who gets it? I’ve got it! Okay, back to those Friday the 13th movies: If you were being chased by that machete wielding Jason character, name something you could hit him on the head with so that you could get away. (It can really be anything… the more creative/amusing, the better). My favorite answer will get an e-copy of my novel in whatever format you like. Comment below with your answer and a way to contact you, I’ll decide on Sunday night! It's open internationally so everyone is welcome to play. 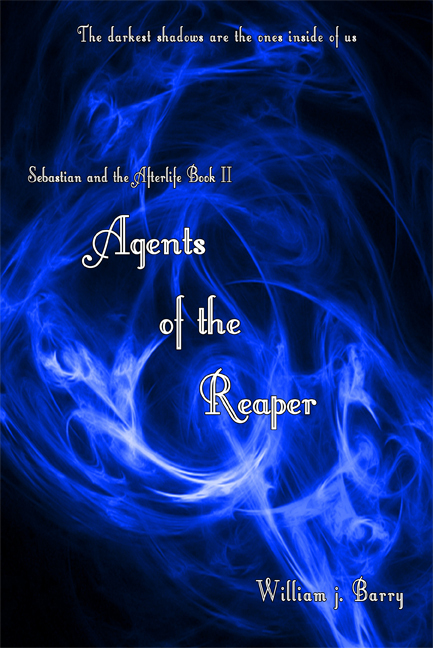 Sebastian, a seventeen-year-old boy in the spirit realm, is now training to be an agent of the Grim Reaper. He and his friend Onyx will need all of their new training and special powers as the soul pirates threaten the realm once again. Brocku has obtained the Oblivion Gate, and Axis Red begins to execute a plan more devious than ever. Sebastian’s lingering concerns for Sarah and his troubled sister Kristen are put on hold when he is thrown into a perilous situation. A special team of agents must join together for a mission that even they might not survive. At the same time, Sebastian’s friends are busier than ever. Onyx is still searching for a way to express her feelings for Sebastian. Jack is battling through his brother’s surreal dreams to reach him, and Patricia receives a new job in the realm. This is one of he very few middle grade series that I really enjoy. I love this series. Thanks William!! I'm too short so I couldn't hit him over the head. But if I could have a super power, I would wish for super speed so I could run in the opposite direction. I thought it interesting that I didn't see that movie on cable last night. I guess people just aren't interested in Freddie anymore. These books sound cool. hehe My brother riffed those Jason movies I ended up laughing so hard I cried. The funniest one I still remember is him getting hit in the head by a swinging light bulb so I'm going with my kitchen chandelier. I am with someone else that said they were to short to hit him on the head. Being a little over 5 foot I could not hit many people over the head so I guess I would send my attack rabbit after Jason. My attack rabbit would either bite his feet or legs and when Jason leaned down to get the rabbit (which he would not because she does not like being touch by humans) I would then take my black iron skillet and hit him. I'd use the purse of the stupid pretty girl who went to check out that noise by herself. That chick's got more makeup in her bag than I have in my bathroom at home. It's heavy and she won't be needing it anymore. I have six cats so one of them is usually closest to hand but that seems a bit cruel to the furry beasties. So let's go with a tin of cat food instead! As a former teacher, I would arm myself with a 13 year old boy. Some of them are the most annoying creatures on the planet, impervious to sarcasm and physical harm. First, I have to say that I love all of these responses; thank you, everyone. They were all great. It’s nice to know that you all have an escape plan in case Jason happens to show up. Sadly, I can only pick one; and after some deliberation, I am going to have to go with the wombat. I went with this not only for the delightful mental image, but also the planning that accompanied it (not only having the wombat strike and be chased, but also escape unharmed). Well done, jc andrijeski! I hope that you and the wombat are accompanying me if I ever find myself at Camp Crystal Lake on a Friday the 13th. I will be in contact with you very soon about where I can send you your free e-book! Thanks! Thanks for sharing, I love the sound of this one.